Josh Berson is very ambitious. 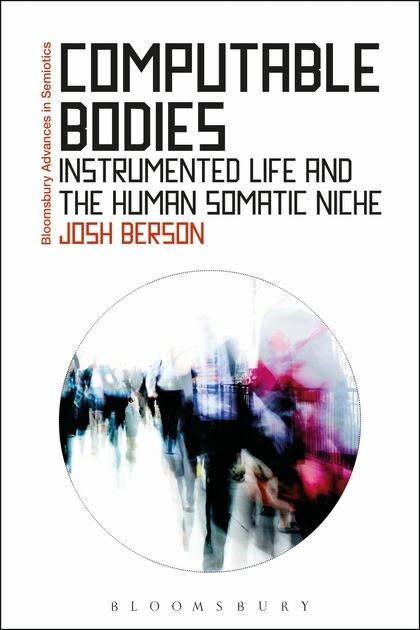 His book endeavours to bridge neuroscience, anthropology, computer science, and the concept of data itself, and bring in discourse analysis and much else along the way. His scope is to encompass all of the changes to our lives that are emerging from the rapid and exhilarating applications of computing. This is the work of a pioneer trying to get enough distance from our immediate avalanche of cultural change to formulate an external point of view. It may be premature to attempt this while the torrent of change is still on us, but the task is heroic. Josh is often pessimistic about the changes that computing is making in our lives. He mention ‘narrative collapse’ [ http://www.rushkoff.com/books/present-shock/ ]. He quotes from anthropologist Jane Guyer who has described ‘an evacuation of the near past in favor of a constant sense of punctuation, of impending rupture’ [‘Prophecy and the near future..’. American Ethologist 34, 409-21 (2007) ]. Sometimes there is a cry from the heart, as when he says ‘Data can refer to things at many orders removed, say, from the cutaneous tactile pressure of the mantel against the back of my arm as I turn away from the screen, hoping to see in the next sentence written in the crease between wall and ceiling opposite…’ or when he reports that ‘modernity has failed’…Modernity ‘ has been a project of evacuating the world of hidden sources of intention’. ‘We share the world […] with a proliferating array of partly autonomous animate co-presences which are shaping our habits of movement and how we shape the world’ […] We need a new somatic anthropology that takes these other than human and other than living inhabitants seriously’. Are we at a gloomy place where we must salvage what we can of privacy, personal identity and narrative from an incursive and overwhelming flood of technology? Perhaps with the surveillance that Berson berates comes undreamt freedom to navigate and create new worlds. We are at a most interesting time. He concludes his work with a chapter on ‘Precarity’, which Wikipedia defines as ‘a condition of existence without predictability or security affecting material or psychological welfare’. He touches on a modern despair, which is somehow closer now (September 2016) than when he wrote the book. Is he showing us directions and means to retrieve ourselves? Consilience has now become an urgent project if we are to find a way through without apocalypse, and relevance to this cause is the touchstone for this review. Can an emerging general theory of behaviors and realities help the species through the next ‘interesting’ fifty years? Michael Mair worked on a micro analysis of the speech with movement stream in 1976, taking his lead from Condon and Ogston, Mary Douglas, and early contact with Paul Bouissac. He went on to complete training as an Ophthalmologist in the UK before moving to New Zealand in 1985. As well as working full time as an Eye Surgeon for nearly thirty years, he has a continuing interest in the the neuroscience of text, viz semioticon.com/virtuals/multimodality/mair.htm . He has designed an electronic health record system for Ophthalmology which is widely used in Australasia, and contributed to the debate on electronic health record standards. He continues now to collate his notes and write out his ‘Universal Template Theory’, which has a genesis nearly 50 years ago.